Even Santas need a Summer vacation! Ever wonder where all Santa's Helpers go after the snow begins to melt? 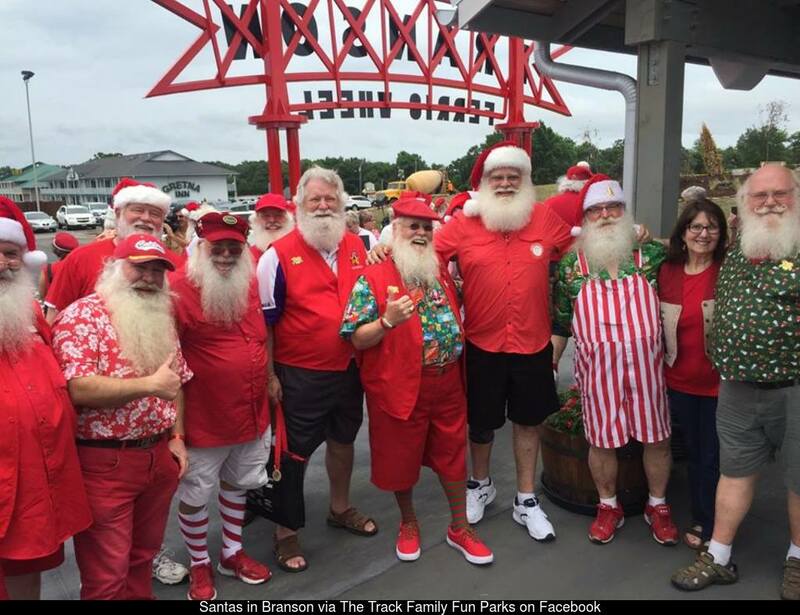 This year, every Santa across America took a trip to Branson, Missouri to meet up and share tips on how best to represent Santa. The Discover Santa Convention brings together many types of Santa's Helpers from July 6th to 10th, 2016, making the sidewalks of Branson look like the North Pole, even if the temperatures are approaching 90°F! This meetup allows the hundreds of Helpers to discuss what it means to dress up as Santa and attend seminars that cover what to do in situations that may arise during the Christmas season. Events like car shows, golf tournaments, and even world record attempts promote the cause of those dedicated to portraying Santa and the attendees give back at blood drives and by raising money for Toys for Tots. Check out this local story from KY3 News in Missouri for photos of the Santas celebrating in Branson. What do you do during the Summer to get ready for Christmas? Five Places You Can Still Find Great Christmas Deals... in February!